Superstar winemaker, Kerry Shiels, has crafted another stunning Rose in her 2017 release. One of the historic vineyards in Washington State, set in the Yakima Valley, the DuBrul Vineyard was planted by some great people in Washington wine, Dr. Hugh and Kathy Shiels. This incredible vineyard has both Bordeaux varietals, as well as Syrah, Chardonnay and Riesling. 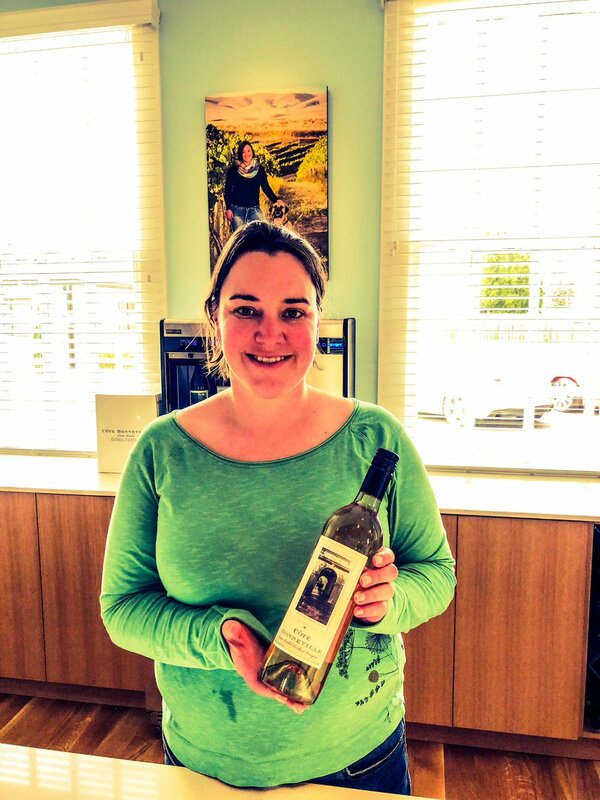 The Shiels daughter, Kerry, is one of the great winemakers in Washington. Kerry received her Masters degree in Viticulture and Enology from U.C. Davis, then assumed the winemaker title in August, 2009. She has been immersed in DuBrul Vineyard and Côte Bonneville since 2005, under Stan Clarke’s tutelage and Co Dinn’s mentorship. Do not miss out on her new wines. An awesome follow-up to her stunning 2016 bottling, the 2017 Côte Bonneville Rose (WWB, 92) is elegant and rich, showing very pretty flavors and aromatics. Kerry has a wonderful handle on Chardonnay as I feel that her Chardonnay wines are typically some of the best made in the state. Her 2015 Côte Bonneville Chardonnay (WWB, 93) shows a dazzling array of richness and minerality with a silky texture. Learn more about this outstanding Washington winery at http://www.cotebonneville.com Here is the outstanding new lineup by Côte Bonneville. Great photo here of the Shiels family in their DuBrul Vineyard.